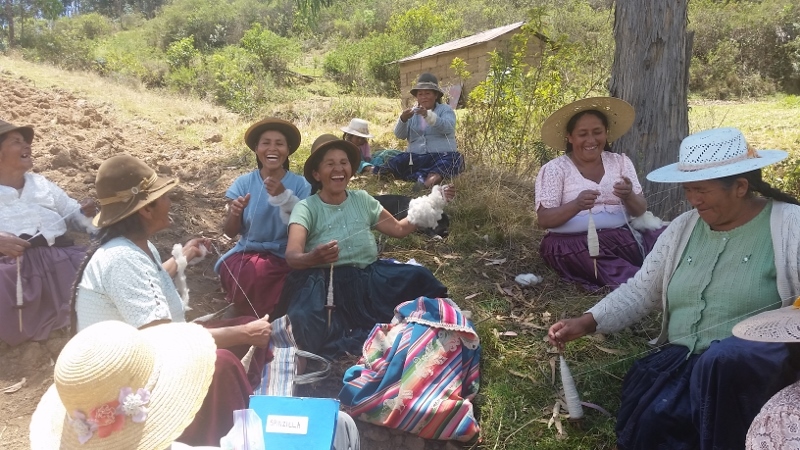 The Warmis Phuskadoras/Cloth Roads team has increased to 12 spinners representing 4 rural communities in the municipality of Independencia, Bolivia. I’m going to take this opportunity to familiarize readers new to the blog with background information. Unfortunately, 3 years of archived blogs were lost due to a virus affecting the former blog site. Where is Independencia? As the condor flies it is on a straight line between Cochabamba and La Paz. The town of Independencia lies in the isolated Palca river valley and access is an 8 hour (if uneventful) bus ride from Cochabamba winding up, down, over, and around in the Eastern Range of the Andes. The rural communities are west of Independencia and accessed by contracting a vehicle or hitching a ride in the back of a cargo truck. What is PAZA? 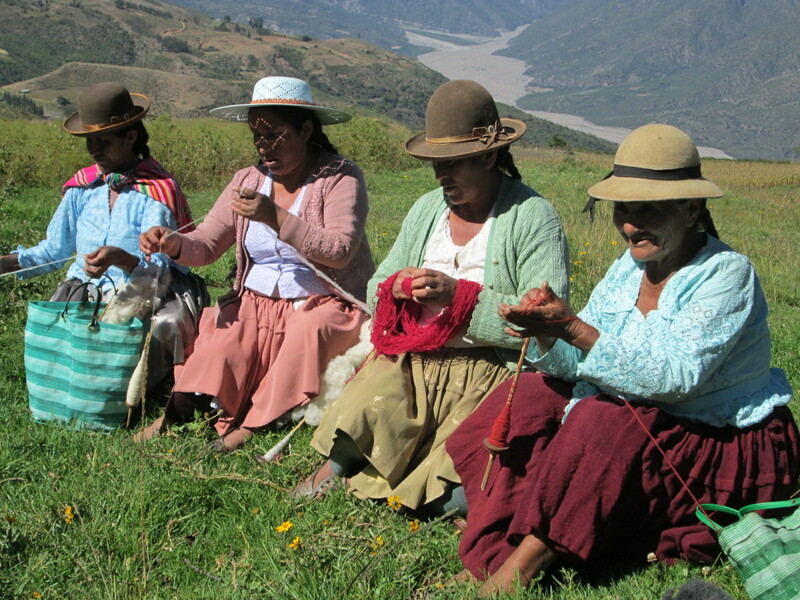 PAZA is the acronym I used to write a Peace Corps grant for our first natural dye workshops in 2007 (PAZ = Peace). Today it is you and I who know that due to the imbalances in the world, peace will be forever elusive. It is also the weavers who are too busy struggling to survive to have a bigger world view than their family and community. There is no organization, foundation, institution, or charitable deduction. I donate my time working at a grass roots level and link to you who can provide financial support, help in locating sales venues for the weavings, volunteering, and in technical assistance. PAZA is a work of the heart that allows you, me, and the weavers to each do our bit in tackling what seems like insurmountable obstacles in bringing balance into the world. What is the Club de Artesanas (CdA)? The Club began as the Club de Chicas at the end of 2010 during school vacation. When school started Doña Máxima the CdA trainer and PAZA Coordinator and I realized we had no participants. She said there were women interested in joining the Club so we changed the name and meet every Tuesday and Thursday. Saturdays are open workshop days for the teenagers who are very erratic in attendance. 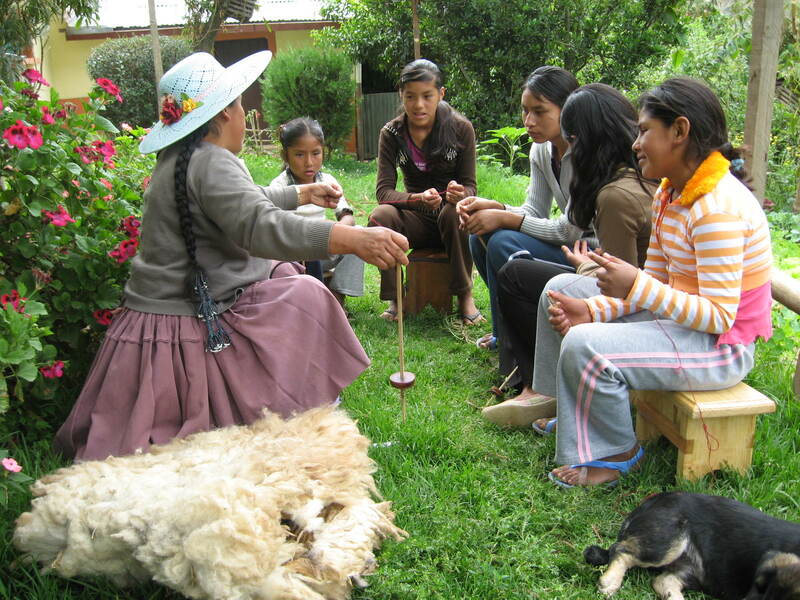 Four of the teenagers learned to weave from Doña Máxima and sold weavings, however, all have lost interest and none have learned to hand spin. 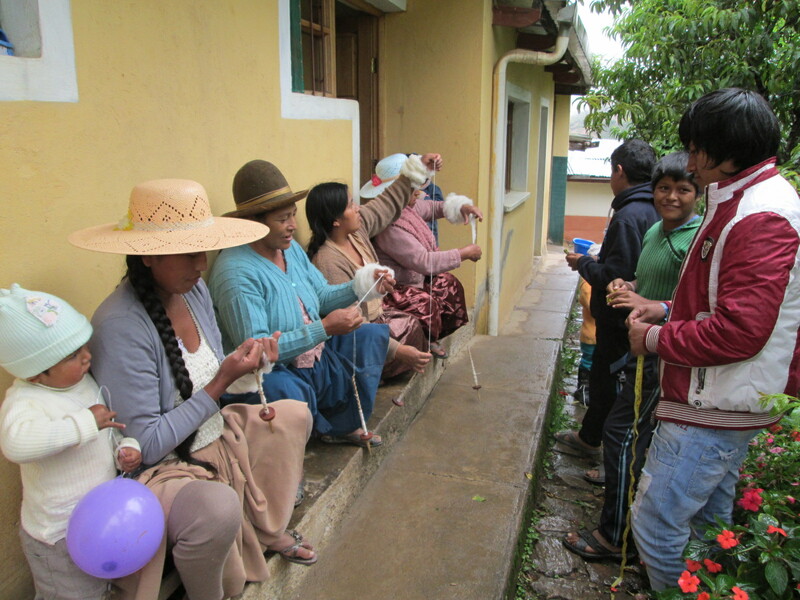 Rural Bolivians have been recipients of umpteen development projects, but as participants of Spinzilla the $10 fee is being given in their name for recipients of the Needlearts Mentoring program in the U.S. The passing of the spinning and weaving tradition from mother to daughter ended with the advent of educating girls (post Agrarian Reform Act, 1953). 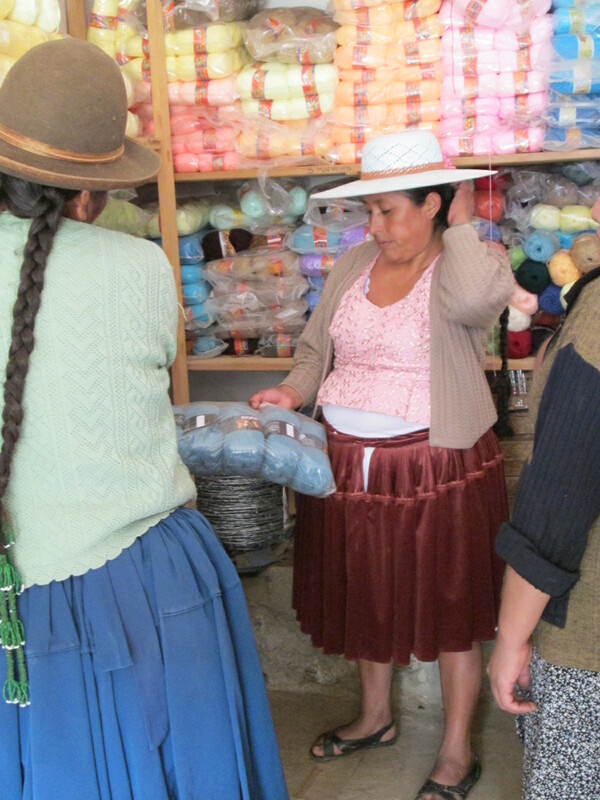 The youngest weaver selling weavings through PAZA is 19 year old Adviana who has a 7th grade education. She learned from her grandmother and Doña Máxima, but she does not hand spin. The Spinzilla contest offers the opportunity to raise awareness globally about not only the joy but the respect and honor awarded hand spinners. THANK YOU organizers and sponsors of Spinzilla! Thanks to long time PAZA supporters Shiriin Barakzai and Lyn Lucas the participant fee for the 12 registered weavers is covered. Their additional contributions will go towards the weekly operation of the Club de Artesanas. Thank you!.